A woman with a python hidden inside an external hard drive was stopped from boarding a Florida plane headed to Barbados. The Miami Herald reports that officers screening luggage at the Miami International Airport Sunday found an “organic mass” inside a checked bag. 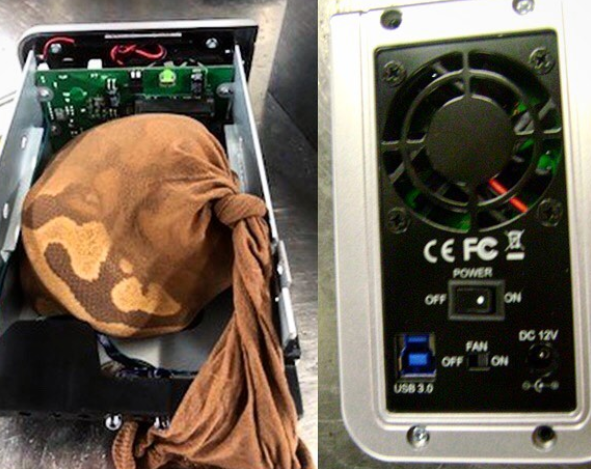 Transportation Security Administration spokeswoman Sari Koshetz says that a bomb expert then examined the bag and discovered the live snake in the hard drive. She says that the snake was “obviously not an imminent terrorist threat,” but its interception prevented a possible wildlife threat. The passenger was fined, and the snake was taken into custody by U.S. Fish and Wildlife Services. Neither woman nor snake made the flight.